Mining the Motherlode is an animated exploration of the themes in Andy Wilkinson's poem of the same name. The film is not a literal adaptation of the poem. Rather it attempts to provide a counter-harmony to Andy's words, reflecting the essence of the poet's vision, just as the poem itself reflects the essence of the diminishing waters of the Ogallala. Produced by the Western Folklife Center. Directed by Jeremy Boreing. Illustrated by Rebecca Shapiro. The Ogallala Aquifer is one of the major sources of fresh water in North America and the principal source for most of the Great Plains. Deposited over one million years ago, with little or no surface recharge—other than in the Sand Hills of Nebraska—every drop we pump out is exactly the same as mining an ore, a depleting resource. Since the wide use of motor-driven wells after WWII, we have pumped it dry in a few places and are on the verge of it in almost all of the rest. When it's gone, the Plains will once again belong only to the grass, the wind, and the buffalo. 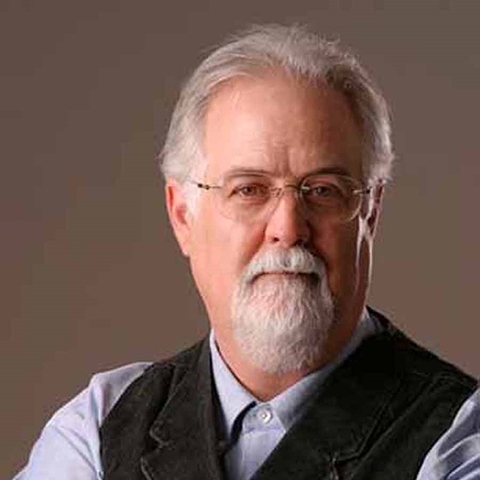 Andy Wilkinson is a renowned poet, songwriter, singer and playwright who serves as Artist-in-Residence at the Southwest collection at Texas Tech University and visiting assistant professor in the School of Music. Photo by Tina Thompson. Jeremy Boreing is a filmmaker and media entrepreneur operating out of Hollywood. Boreing's most recent feature film, The Arroyo, is a modern Western exploring the violence and lawlessness on America's southern border. Rebecca Shapiro is a Los Angeles-bassed graphic artist who attended Otis College of Art and honed her illustration and digital painting skills while at Dreamworks Studios. Shapiro is currently an artist at Forward Publishing. Photo by Abigail Shapiro. Moving Rural Verse was also funded by Jeff Tant and Briana Tiberti.